Currently, 7 seats car rental for 3 days 2 nights in Da Lat is one of the outstanding services at Kha Tran car rental. 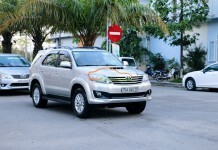 We put into service the new 7-seats car of the world famous brand is Toyota Innova and Toyota Fortuner. In particular, Toyota Fortuner is a car designed with the sporty look, high roaring, powerful engine, stable operation and safety. 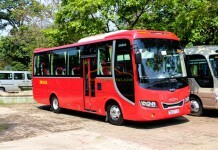 This is the first choice with characteristics of the road to Da Lat- mountainous terrain, pass, slopes. The distance from Da Nang to Da Lat about 658 km, lost 13 hours travel. 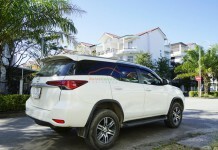 Using the car rental service 7 seats from Da Nang to Da Lat of Kha Tran car rental, visitors can be assured of the quality car as well as service quality. We are committed to bringing you the tour of Da Lat full safety and comfort with 7 seats car high quality, model 2016 – 2018, luxurious furniture with full facilities modern. All vehicles are cleaned and periodic maintenance, ensuring that they are always in good condition and operating properly. The seat is comfortable, comfortable, spacious luggage compartment. In addition, there are free Wifi, icebox, children chair, wheelchair travel on request. During the trip, visitors will rest, relax and enjoy the beautiful scenery on the way to Da Lat. Do not worry about the move because you can completely trust the team of Kha Tran driver: Professionally trained tourism, experienced, understanding the road in Da Lat, thoughtful, careful kidney, safe driving. Travel Da Lat 3 days 2 nights, where you go, what you eat, where you play to have the perfect experience in Da Lat? You can refer some information in Da Lat Travel handbook 2018 to looking for travel experiences Da Lat 3 days 2 nights self-sufficiency here. 7 seats car rental services for 3 days 2 nights in Da Lat of Kha Tran Car rental also give you some the most interesting Da Lat tourist program with the famous tourist spots of Da Lat, cheap hotel Da Lat, the homestay has a beautiful view in Da Lat, the address of the coffee shop you should check – in when traveling Da Lat or list of delicacies Da Lat specialties, … Just contact hotline (+84) 91 509 02 01 (Mrs Anna) – (+84) 91 651 02 01 (Mrs Katharine), you will be the staff of professional, dedicated of Kha Tran advice to answer all inquiries as well as 7 seater car rental from Da Nang to Da Lat quickly, accurately. Kha Tran Car rental specialized in providing car rental services 4, 7, 16, 29, 35, 45 seats from Da Nang to Da Lat. Especially Dcar Vip Limousine Car rental 9 seats from Da Nang to Da Lat with class business quality. The above prices are only for reference value, it depends on the actual needs of the schedule, time for rent a car. 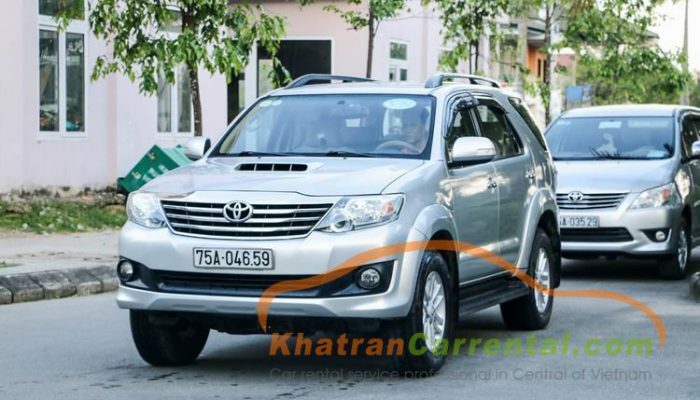 Please contact hotline (+84) 91 509 02 01 (Mrs Anna) – (+84) 91 651 02 01 (Mrs Katharine) or email dalatcar6789@gmail.com (Sales) and khatrancarrental@gmail.com (Manager) for more information.